The annual tax return filing season is a critical period for the Internal Revenue Service (IRS) because it is when most individuals file their income tax returns and contact the IRS if they have questions about specific tax laws or filing procedures. As of May 8, 2015, the IRS received 137.3 million individual income tax returns. In addition, the IRS provided assistance to millions of taxpayers via the telephone, website, social media, and face-to-face assistance. One of the challenges the IRS confronts each year in processing tax returns is the implementation of new tax law changes as well as changes resulting from expired tax provisions. Before the filing season begins, the IRS must identify the tax law and administrative changes affecting the upcoming filing season. Once identified, the IRS must revise the various tax forms, instructions, and publications. The IRS must also reprogram its computer systems to ensure that tax returns are accurately processed. Errors in the IRS’s tax return processing systems may delay tax refunds, affect the accuracy of taxpayer accounts, and result in incorrect taxpayer notices. Prior to the start of this filing season, the IRS was challenged by the late enactment of tax provisions that were set to expire. To reduce the impact on the filing season, the IRS monitored the status of the extender legislation and took steps prior to its enactment to prepare for the extension of these provisions. These efforts enabled the IRS to begin accepting and processing individual tax returns on January 20, 2015, as scheduled. In addition, the IRS has the challenge of carrying out its mission with a significantly reduced budget. As of May 8, 2015, the IRS received more than 137.3 million tax returns – more than 120.2 million (87.6 percent) were electronically filed (e-filed) and more than 17 million (12.4 percent) were filed on paper. Taxpayers are e‑filing a higher proportion of tax returns than in the 2014 Filing Season. Figure 1 presents comparative filing season statistics as of May 8, 2015. The IRS indicated that it continues to modernize its filing season applications in Fiscal Year 2015 under the CADE 2 program. For example, the IRS included additional enhancements to CADE 2 to use consistent computations for penalty and interest in its various systems that use CADE 2 data relating to individual and business accounts when taxes are not received by the due date. These systems include the Integrated Data Retrieval System, Individual Master File, and Business Master File. Through May 7, 2015, a total of 36,667 individuals requested to convert refunds totaling almost $23.6 million into savings bonds. Additionally, a total of 553,406 taxpayers chose to split tax refunds totaling more than $2.6 billion between two or three different checking and savings accounts. Figure 2 shows a comparison of taxpayers’ use of the split refund and savings bond options for Processing Years 2014 and 2015 as of May 7, 2015. However, the analysis of Form 8888, Allocation of Refund (Including Savings Bond Purchases), continues to identify potential misuse of the split refund option to pay tax return preparers for their services. We identified 44,993 tax returns that requested 46,603 direct deposits totaling more than $13.7 million. The 46,603 direct deposits were made into 3,505 bank accounts associated with 3,192 tax return preparers who filed the tax returns. Of the 46,603 direct deposits, 37,043 were to 3,400 bank accounts associated with tax return preparers who had already received three direct deposits. Form 8888 instructions state that the form is to be used only for the deposit of a tax refund to an account in the taxpayer’s name. Taxpayers are not to use Form 8888 to direct a portion of a tax refund to the tax return preparer for payment of services rendered or any other purpose. In response to concerns we raised during the 2014 Filing Season, IRS management stated that as part of its efforts to combat identity theft, the IRS expected to implement a systemic restriction to limit the number of deposits (three) to a single bank account beginning with the 2015 Filing Season. Subsequent refunds will be converted to a paper check and mailed to the taxpayer’s last known address. IRS management expected this change would also reduce the number of preparers who inappropriately used Form 8888 to divert their clients’ refunds into an account controlled by the preparer. The IRS implemented the systemic deposit restriction as planned. However, the analysis of the 37,043 direct deposits to the 3,400 bank accounts that had already received three direct deposits found that the IRS did not convert 9,166 deposits (25 percent) totaling more than $2.3 million to paper checks. We notified the IRS of our concerns with the direct deposit limit on June 17, 2015. IRS management agreed with our assessment and responded that computer programming errors resulted in the IRS not properly identifying all direct deposit accounts with multiple deposit requests. According to IRS management, the IRS has corrected two of the three issues and plans to implement computer programming changes to correct the third issue in Calendar Year 2016. The number of tax returns filed by a paid tax return preparer claiming the EITC without attaching the required completed Form 8867, Paid Preparer’s Earned Income Credit Checklist, has declined. Figure 3 shows the number of paid tax return preparers we identified as not in compliance with the due diligence rules during the 2013 through 2015 Filing Seasons. Beginning with the 2012 Filing Season, paid tax return preparers who prepare a tax return claiming the EITC must include Form 8867 with the tax return or face a $500 due diligence penalty for each return they submit without it. Since enactment of the Form 8867 requirement and the related due diligence penalty, the IRS has worked to educate preparers about the requirement. In addition, the IRS has worked with tax return preparation software developers to include requirements in their software applications that will assist tax return preparers in being compliant with the Form 8867 requirement. Analysis of EITC claims filed during the 2012 through 2015 Filing Seasons identified that claims filed by preparers with the Form 8867 have fewer processing errors (e.g., mathematical errors, invalid EITC qualifying child Social Security Number (SSN), etc.) when compared to claims filed by preparers without the required Form 8867. We found that as of May 7, 2015, the IRS identified processing errors on 6.8 percent of EITC claims that were filed by a preparer without a Form 8867 compared to only 0.2 percent of EITC claims filed with a Form 8867. Figure 4 shows a comparison of EITC claims filed by preparers with and without a Form 8867 during the 2012 through 2015 Filing Seasons that had an error identified by the IRS during processing. As of May 7, 2015, the IRS processed more than 2.7 million tax returns on which taxpayers reported more than $8.8 billion in PTCs that were either received in advance or claimed at the time of filing. 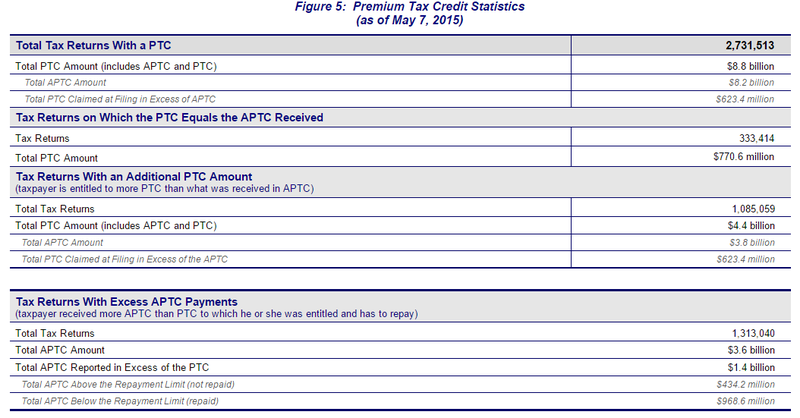 Figure 5 provides the results of the analysis of the PTCs reported by taxpayers on tax returns processed as of May 7, 2015. As of May 7, 2015, the IRS received more than 96.8 million tax returns reporting that all members of the taxpayer’s family maintained MEC as required. The IRS received more than 10.8 million tax returns with a Form 8965 attached indicating that at least one taxpayer on the tax return is exempt from the MEC requirement. In addition, more than 6.7 million tax returns reported shared responsibility payments totaling more than $1.3 billion for not maintaining required coverage. In March 2015, we reported that the IRS has not developed processes and procedures to verify individuals’ compliance with MEC requirements during the 2015 Filing Season. On July 9, 2013, the Department of the Treasury granted employers and health insurers transition relief from the Form 1095-B, Health Coverage, and Form 1095-C, Employer-Provided Health Insurance Offer and Coverage, filing requirements. These forms provide the IRS with information for individuals who were offered MEC by their employer or were covered by MEC. Under the transition relief, the filing deadline for paper Forms 1095-B and 1095-C was delayed from February 28, 2015, to February 29, 2016, and for e-filed Forms 1095-B and 1095-C was delayed from March 31, 2015, to March 31, 2016. IRS management indicated that a business decision was made to not develop processes and procedures because the receipt of required insurer (Form 1095-B) and employer (Form 1095-C) information reports have been delayed. However, the IRS plans to use information obtained during the 2015 Filing Season to develop post-processing compliance strategies to be used in future years. As of May 2, 2015, the IRS reported that it identified 163,087 tax returns with more than $908.3 million claimed in fraudulent refunds and prevented the issuance of approximately $787 million (86.6 percent) of those refunds. Figure 6 shows the number of fraudulent tax returns identified by the IRS for Processing Years 2012 through 2014 as well as the refund amounts that were claimed and stopped. The IRS continues to make significant improvements to its process to detect identity theft. For example, it expanded the number of identity theft filters it uses to identify potentially fraudulent tax returns and prevent the issuance of fraudulent tax refunds from 114 filters during the 2014 Filing Season to 196 filters for the 2015 Filing Season. The identity theft filters incorporate criteria based on characteristics of confirmed identity theft tax returns. These characteristics include amounts claimed for income and withholding, filing requirements, prisoner status, taxpayer age, and filing history. Tax returns identified by these filters are held during processing until the IRS can verify the taxpayer’s identity. The IRS generates a letter to the address that is listed on the return requesting that the taxpayer authenticate their identity within 30 days or their return will not be processed. The letter also informs the individual that they should contact the IRS even if they have not filed a tax return because they may have been a victim of identity theft. This prevents the issuance of many fraudulent tax refunds. As of April 30, 2015, the IRS reported that it identified and confirmed 141,214 fraudulent tax returns and prevented the issuance of nearly $754.5 million in fraudulent tax refunds as a result of the identity theft filters. 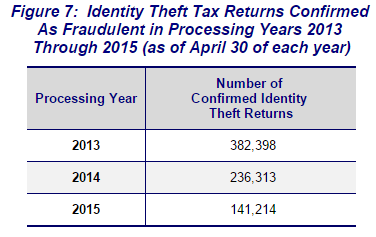 Figure 7 shows the number of identity theft tax returns the IRS identified and confirmed as fraudulent in Processing Years 2013 through 2015. Overall, the decrease in the number of fraudulent tax refunds resulting from identity theft that the IRS detects and stops is attributable to expanded IRS processes to prevent fraudulent tax returns from entering the tax processing system. For example, as of April 2015, the IRS had locked approximately 28.4 million taxpayer accounts of deceased individuals. The locking of a tax account results in the rejection of an e‑filed tax return and prevention of a paper tax return from posting to the Master File if the SSN associated with the locked tax account is used to file a tax return. According to the IRS, as of April 30, 2015, these account locks have resulted in the IRS rejecting approximately 77,000 fraudulent e-filed tax returns and preventing approximately 16,000 paper tax returns from posting to the Master File. In addition, the IRS developed and implemented a clustering filter tool during the 2013 Filing Season. The clustering filter tool groups tax returns based on characteristics that include the address, ZIP code, and bank routing numbers. For the tax returns identified, the IRS applies a set of business rules in an attempt to ensure that legitimate taxpayers are not included. Tax returns identified are held from processing until the IRS can verify the taxpayer’s identity. As of May 2, 2015, the IRS reports that using this tool, it identified 201,373 tax returns claiming approximately $496.5 million in potentially fraudulent tax refunds. In an effort to further reduce the issuance of fraudulent tax refunds, the IRS began limiting the number of direct deposit refunds that can be sent to one bank account to three deposits. The IRS will convert the fourth and subsequent direct deposit refund requests to a specific bank account to a paper refund check and mail the check to the taxpayer’s address of record. As of May 2, 2015, the IRS reports that it identified 44,454 potentially fraudulent tax returns filed by prisoners for screening. Figure 8 shows the number of prisoner tax returns identified for screening in Processing Years 2013 through 2015. To combat the continuing problem of refund fraud associated with tax returns filed using prisoner SSNs, the IRS compiles a list of prisoners (the Prisoner File) received from the Federal Bureau of Prisons and State Departments of Corrections. Various IRS offices and functions use the Prisoner File in an effort to prevent and detect fraud. The Prisoner File is the cornerstone of the IRS’s efforts to prevent the issuance of fraudulent refunds to individuals filing false tax returns using a prisoner SSN. The Electronic Fraud Detection System is the primary system used by the IRS to identify tax returns filed using prisoner SSNs. The Electronic Fraud Detection System consists of a series of filters the IRS has designed to evaluate tax returns for potential fraud. Tax returns are processed through the Electronic Fraud Detection System, whereby the primary and secondary SSNs listed on the tax return are matched to the Prisoner File to determine if the tax return is filed using a prisoner SSN. If an SSN on a tax return matches a prisoner on the Prisoner File and it is a claim for a refund, a prisoner indicator is assigned to the tax return. Tax returns that are assigned a prisoner indicator and meet specific criteria are evaluated to determine if the tax return is fraudulent. This evaluation includes screening and verifying the wage and withholding information reported on the tax return. The American Taxpayer Relief Act of 2012, enacted in January 2013, expanded the Secretary of the Treasury’s authority to share false prisoner tax return information with Federal and State prisons and gave the IRS permanent authority to share such information. This authority was granted because Congress believes that the ability of the IRS to share information with prison officials will enable prisons to take action to punish prisoners for perpetrating fraud and will help stop the abuse of the tax system. In September 2014, we reported that as of June 2014, the IRS has yet to complete needed agreements to begin sharing information related to false prisoner tax return information with Federal and State prison officials. As of May 2, 2015, The IRS has completed memorandums of understanding with seven State Departments of Corrections. Thirteen State Departments of Corrections have elected not to participate in this program. If you would like to see more posts like this please feel free to Support Refund Talk on Facebook, Google+, Twitter, Delicious, and Reddit.